Lesley Cook — live-in lover of former Real Housewives of Orange County husband, David Beador — erased her social media presence after a questionable haul triggered a heated dispute at a local Walmart. Lesley Cook seemingly panicked after she briefly exposed the noisy retail wrangle — and deleted her Instagram account earlier this week, after being put on blast. 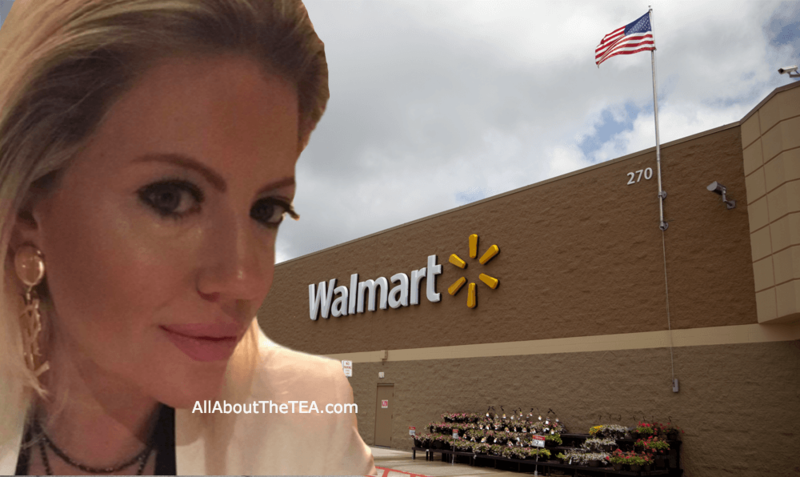 AllAboutTheTea.com grabbed the raw video on Wednesday, exposing a tangle between Lesley Cook and a Walmart employee, stationed at the exit of an Irvine California store. The worker wanted a valid receipt — and Cook did not appreciate being tagged as a discount thief. Cook exploded in an indignant rant — then impulsively posted the high-volume squabble on Instagram. Lesley Cook’s account was soon slammed by outspoken onlookers, weighing in on the messy public exchange. Cook briefly privatized her battered account — before deleting it altogether. Cook’s hot temper has bubbled over on social media before — how long do you think her latest Instagram shutdown will last? The Real Housewives of Orange County is on hiatus. Alexis Bellino Rebounds With Younger ‘Still Married’ Boyfriend — See Pics!